To have the privilege, be the silent observer of life unfolding in its most rudimentary form, has great impact on the psyche of the young. To know the grain will become the tree, plants the seed of understanding regarding our own place on this terra firma. And holding this belief, I have enormous gratitude for my mother, who in recent weeks, arranged a sprouter for the youngest in our family, so he too could make this cognitive connection for himself. 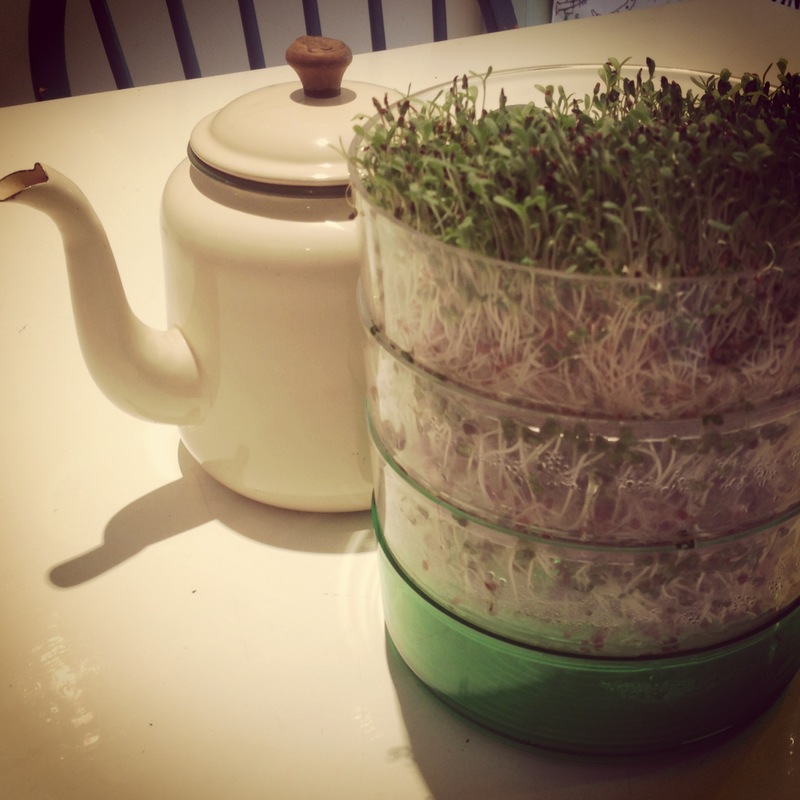 Seed sprouters have certainly made significant leaps since my early days. Ours, being ice-cream lids or saucers lined with damp cotton wool, played the role of propagators to handfuls of wheat. Every kindergarten nature table in the 1970’s displayed them proudly. The sprouting science did not stop there, but continued on into early high school. ‘Controlled experiments’ were devised to prove hypotheses around photosynthesis – one poor saucer being sentenced to a darkened cupboard whilst the other basked on the sill. After a short space of time it became abundantly clear to us all, as we extracted the yellowed, wispy lifeless growth from the pitch, that plants do indeed require sunlight to thrive. Basic conversion of light to energy – simple chemistry. If you believe that your grasp (and that of your progeny) of your collective place in the scheme of things is quite sound, rendering a seed propagator superfluous, then there’s more to be learnt. Once their educational role has been performed, these lovely shoots will become nutritious accompaniments to your sandwiches, salads and stir fries. 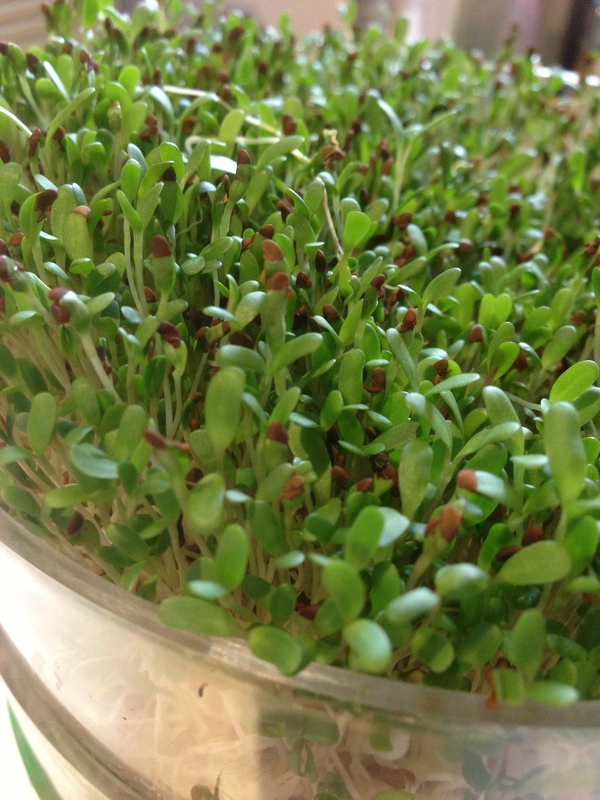 Think alfalfa, radish and broccoli (below) for your sandwiches, adzuki beans, mung beans and lentils for your salads and chick peas and soya beans for extra protein in your next stir fry. Who knew that simple germination could yield such results? Postscript: and for the Breaking Bad fans amongst us, in the words of Walter White: always respect the chemistry.